Our three series of Xtreme Windows offer countless style options and price points to fit every budget. Your HCR representative will work with you to find the perfect windows for your home. You can browse our photo gallery to begin to explore the possibilities, but there are many more styles and options we can show you. The ultimate in vinyl window technology, both frame and sash parts of our window systems are fusion welded. No screws, no gaps, just outstanding performance and ENERGY STARÂ® efficiency in an exceptional slim-line window design. Half screens standard; optional full screens available. 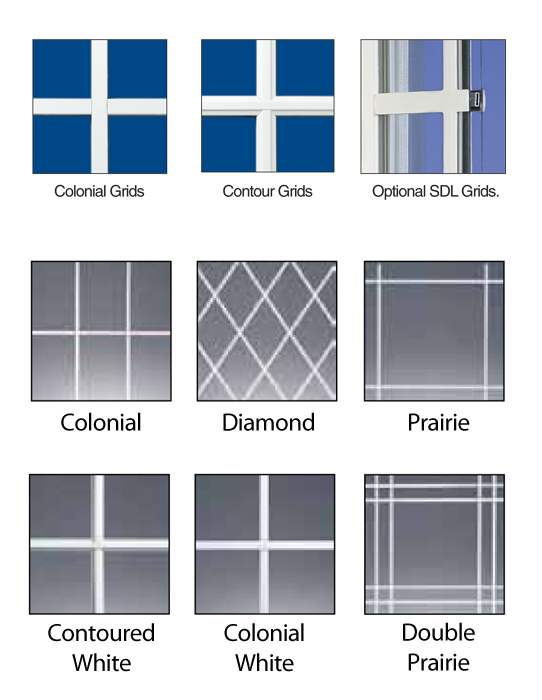 Classic grids are available in complementary white or beige with Colonial, Diamond, Prairie, and Double Prairie patterns. Contoured Colonial grids, featuring a modeled â€˜cut-woodâ€™ look, are available in complementary colors and in matching woodgrains. All grids are enclosed within the insulated glass unit â€“making glass cleaning a breeze. 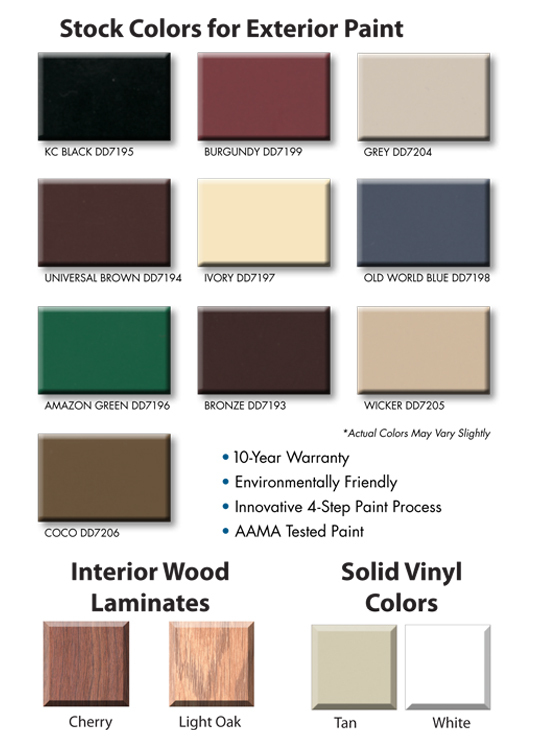 Choose from a variety of colors and finishes that add distinction to any room. Homefix Xtreme windows and doors are available in the solid colors of white or tan, and with optional interior woodgrains in light oak and cherry. Our windows and doors are also available in a choice of 10 optional exterior paint colors on white or tan windows. Copyright 2018 Slocomb Windows and Doors, Inc.